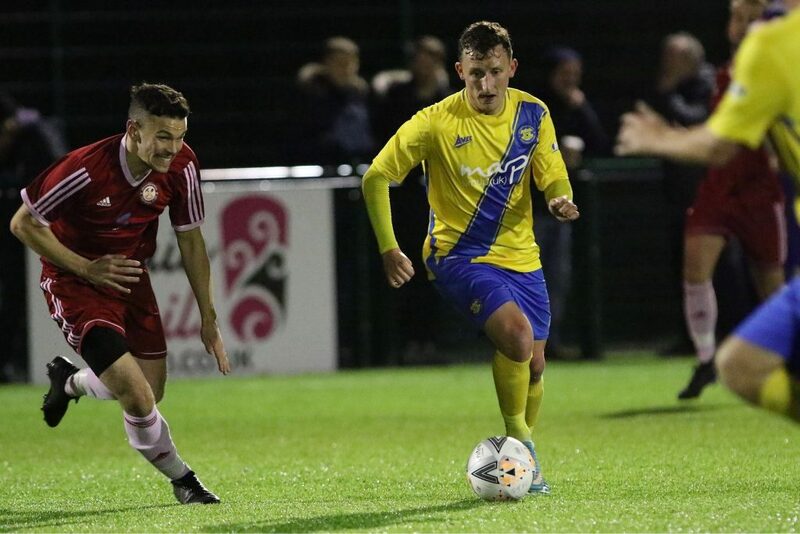 With five goals in as many games, Mikey Roberts has been voted Stockton Town’s Player Of The Month for October by Anchors fans. Roberts enjoyed a sensational month in front of goal topped off by a hat-trick in the 3-0 league triumph over Ryhope CW. He finished the month with the opening goal in the 5-1 League Cup rout of Brandon United and his all-round displays have caught the eye of the Coverall Stadium faithful. The Anchors’ leading marksman secured 34% of the vote to edge the award ahead of second-placed James Risbrough. The mercurial winger had enjoyed two man of the match displays and gained 32% of your votes. With five goals in the month, including a first hat-trick in Stockton colours, you voted Mikey Roberts your Anchors Player Of The Month for October. 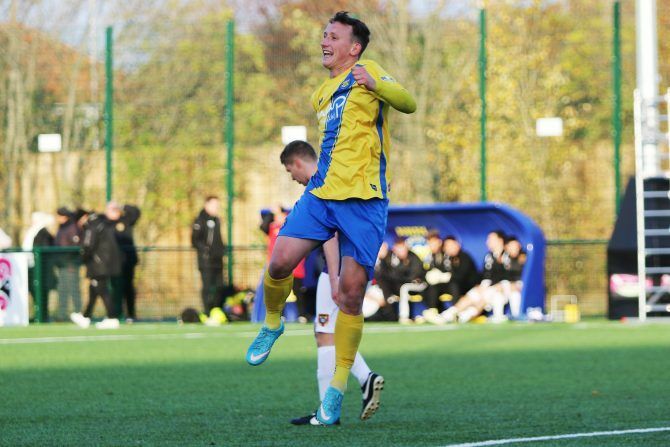 The poll was rounded off by Nathan Mulligan and Tom Coulthard who picked up 22% and 12% of the votes respectively. Mulligan’s four-goal heroics in the 8-0 demolition of Penrith complimented a string of excellent displays in the Anchors engine room. Coulthard turned in several commanding displays at the heart of the Stockton defence, epitomised by his stunning display against Adam Boyes in the Durham Challenge Cup victory over Spennymoor Town.